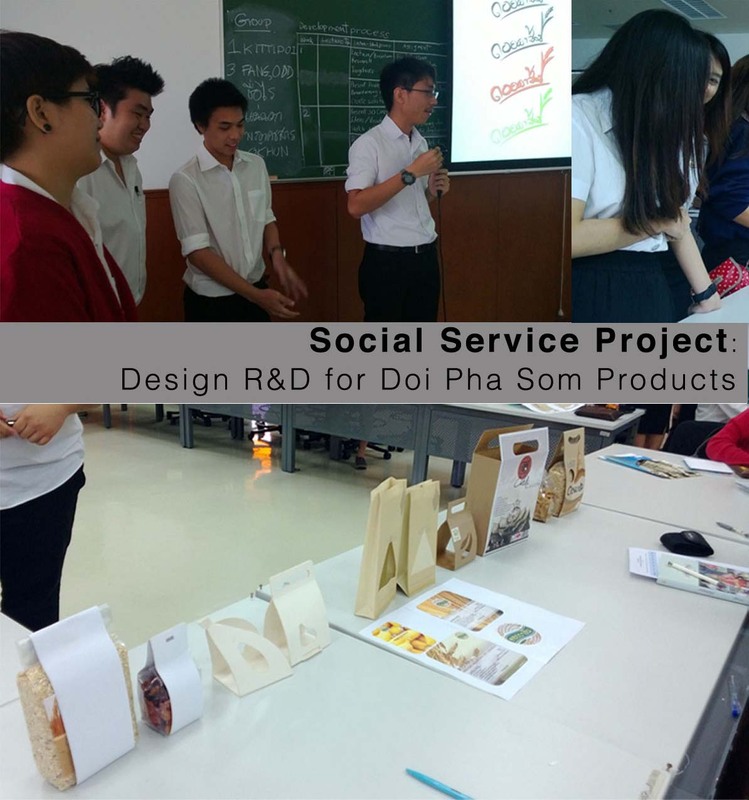 Students of Product Design Department from Monfort del Rosario School of Architecture and Design have been working closely with Ms. Jiranooch Noochniyom, lecturer and Marketing professional in the subject Product Design and Marketing Principles to conduct research and design development for Doi Pha Som products. The social service project initiated by a group of students at Assumption University and supported by faculty members by the name of ‘Kabuan Boon’ or merit makers aims to launch products from a local community at Doi Pha Som in order to help sustain the forests through creating occupations for community members, which will assist them in preserving the local forests. Marketing as well as design principles were fully exhausted to derive designs that will reflect this concept. On July 30, 2013, students presented their final design solutions to a panel of judge comprising of students and faculty members in Kabuan Boon. The winning design will be further developed to suit manufacturing process and requirements of the products.